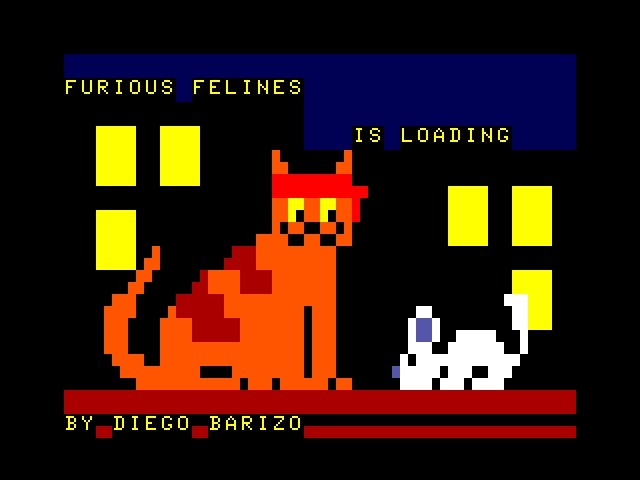 A cross between the classic artillery games and the one about the very upset birds, Furious Felines will have you helping the cats catch their most hated enemy, a mouse. 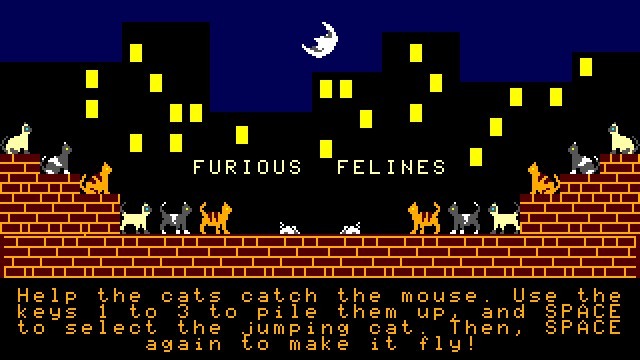 Pile up the cats and make them jump over the trampoline to send the selected hunter blazing through the air and bouncing against walls in an attempt to catch the mouse before it finds a way to escape. 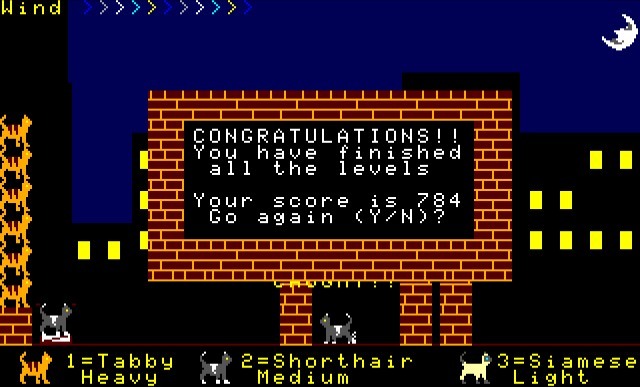 Lighter cats will fly higher and further away than heavy ones, but be careful not to send them over the next block!.